Gateshead Council has taken the lead with a proactive approach to reducing congestion and promoting sustainable and active journeys – with one result being grey fleet mileage reduced by a third. Gateshead Council now has a fleet of 20 pool cars available for staff to use. The local authority wanted to reduce grey fleet car mileage for both environmental and economic reasons through its Travel Plan which aims to achieve more active and sustainable work journeys, reduce the need for journeys and encourage/facilitate walking, cycling, car sharing and the use of public transport. Annual grey fleet mileage reduced by a third between 2007 and 2017 – or around 860,000 less grey fleet miles travelled per year. The addition of 20 pool cars for staff, including three EVs and two hybrids. A 600% increase from 2014 to 2016 in the amount of grey fleet miles covered on electric power. 400 members of a public car club using council pool vehicles out of hours. In 2015, the Travel Plan was updated and the Travel Smarter Gateshead website was launched. The latter provides information and makes alternative modes of travel more attractive. Council staff are also informed through a weekly ‘Council Info’ email and internal communications in order to reach staff who are not desk-based. The website is accessible beyond Gateshead Council staff, with the aim to spread the message to all groups in the wider community. The Travel Plan will help further the medium term objectives contained in the council’s Vision 2030 sustainable community strategy – a long term plan to inspire public, private, voluntary and community sector partners in Gateshead to achieve a step change improvement in the borough. Following development of the new website, initial work involved recording demand for the use of pool cars, cycle storage and travel pass applications, as well as recording website inbox traffic. The next step was to source and devise new sustainable travel-related offers and increase awareness of the Travel Plan among staff. The second objective was to reduce numbers travelling to and from work by car, decrease ‘in-work’ private car use and reduce requirement for travel. There is now a fleet of 20 pool cars available for staff to use, including three electric vehicles, two hybrids and 13 low emission petrol vehicles supplied by Co-wheels. The cars are also used outside of working hours in a car club open to the public. This scheme has grown since it was introduced in 2011; it now has more than 400 members. An initiative has been launched to encourage car sharing (using the sharesmarter.co.uk website). Work has also been carried out to prioritise applications for car park permits where three or more staff members travel together. The council’s fleet department has been instrumental in the installation of a Power Park solar powered charging station at its Civic Centre car park. Electrobay charging posts have also been set up throughout the borough in partnership with the Plugged in Places initiative. The council now operates 16 fully electric vans (and is a member of the Van Excellence programme), while the mayor has a Nissan Leaf EV car for his duties around the borough. Graham Telfer, fleet manager, Gateshead Council. 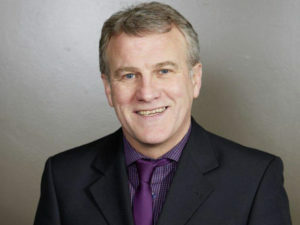 Graham Telfer, the council’s fleet manager and an advisory panel member on the Department for Transport’s Low Carbon Vehicle Procurement Programme, said: “Employees are encouraged to look to public transport before using a low carbon pool vehicle. The proximity, choice and quality of provision makes public transport in Gateshead a very practical and convenient choice for work journeys. 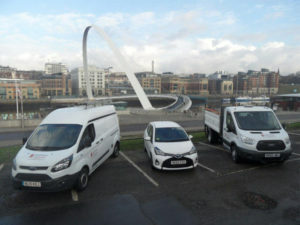 As a result of the fleet initiatives, Gateshead Council won the 2016 Fleet Hero Award in the grey fleet management category.Heroes Wanted: Applications for the 2017 Fleet Hero awards are open until 20 September, with winners due to be announced at an event in the London Docklands Museum on the 9 November. To enter, click here.